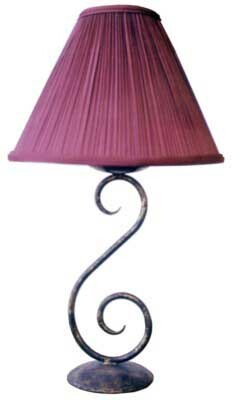 Our hand forged wrought iron table lamps are beautifully designed, expertly constructed, and make an excellent addition to any room. Handforged iron scroll on hammered iron dish. All handforged iron and available in your choice of finish.